Welcome to Georgia Denture & Implant Specialists in Woodstock, Sandy Springs, and Duluth, GA. Dr. Warren Berne, Dr. John Anderson, Dr. Doug Yoon and staff believe that our name says it all because dentures and implants are all we do! 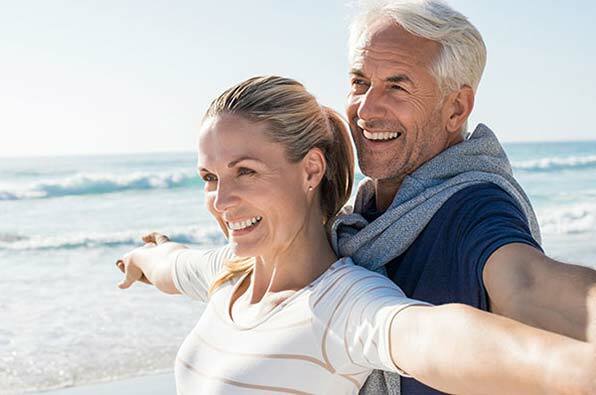 When your smile leaves you self conscious and your bite impacts your chewing, Georgia Denture & Implant Specialists can help bring back your confidence, return your smile and restore the joy of mealtime. Georgia Denture & Implant Specialists is committed to a custom strategy that emphasizes personalized attention and avoids a “one size fits all” approach. We treat each patient as an individual and work to create beautiful smiles that ensure confidence when speaking or chewing. Some patients may choose to recreate their former smile while others may take this opportunity to have the "Hollywood Smile" they have always dreamed of! At this stage the most important factor is the dialogue between doctor and patient. We will have plenty to say, but first we want to listen. This clear focus on prosthodontics is backed by: two years specialized post graduate education, a friendly in-office staff dedicated to your health, highly trained technicians with 43 years combined experience fabricating custom dentures, partials and implants and an in-office lab for creating and repairing dentures. This kind of background and experience makes Georgia Denture & Implant Specialists your “go to” resource, for all of Atlanta and North Georgia. Patients facing issues with natural teeth will be referred to a remarkable collaboration of local dentists and surgeons, allowing Dr. Berne, Dr. Anderson, and Dr. Yoon to focus on the specialized concerns of those needing removable prosthodontics and implants.